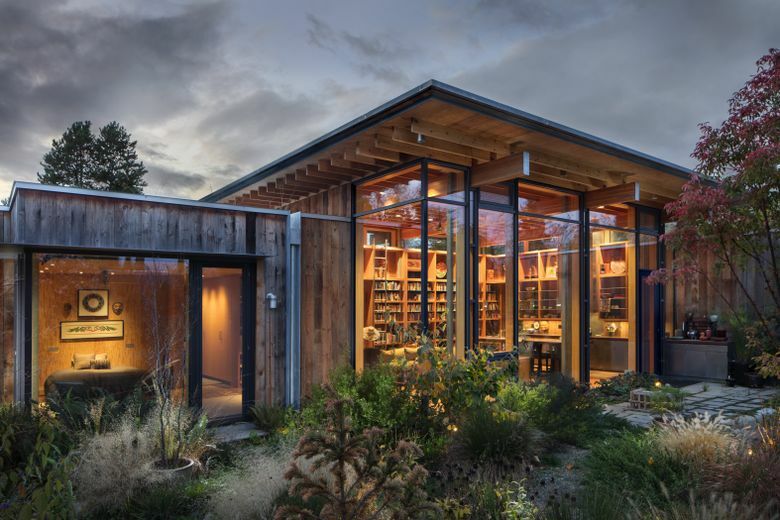 Architect Jim Olson collaborated with his longtime friend Melissa to build a super-sustainable home reminiscent of their Longbranch getaways. YOU CAN SEE how an architect and a homeowner might form a genuine friendship as they formulate a design: It’s an intensely intricate process that requires bare-your-soul discussions, high-stakes give-and-take, and a whole lot of together time. 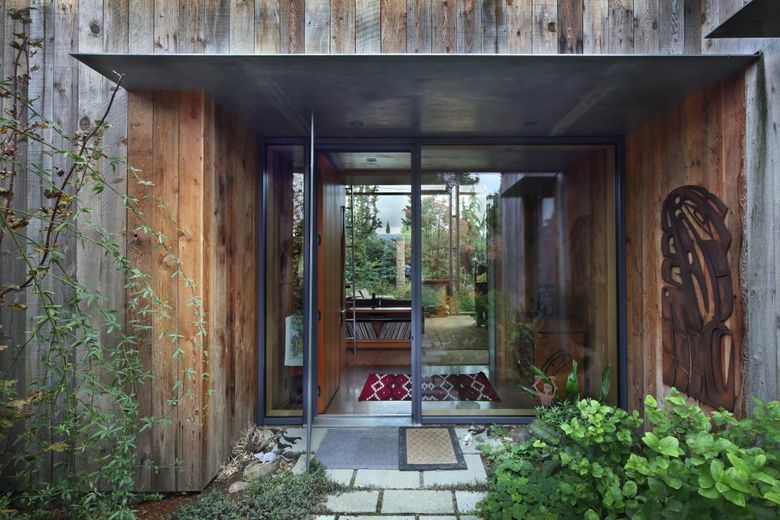 In that respect, (architect) Jim Olson and (homeowner) Melissa worked a bit backward in creating her forward-looking home. They’ve been friends-that-feel-like-family most of their lives, thanks to common experiences, influences — and even dwellings — in one peaceful, meaningful Key Peninsula burg. 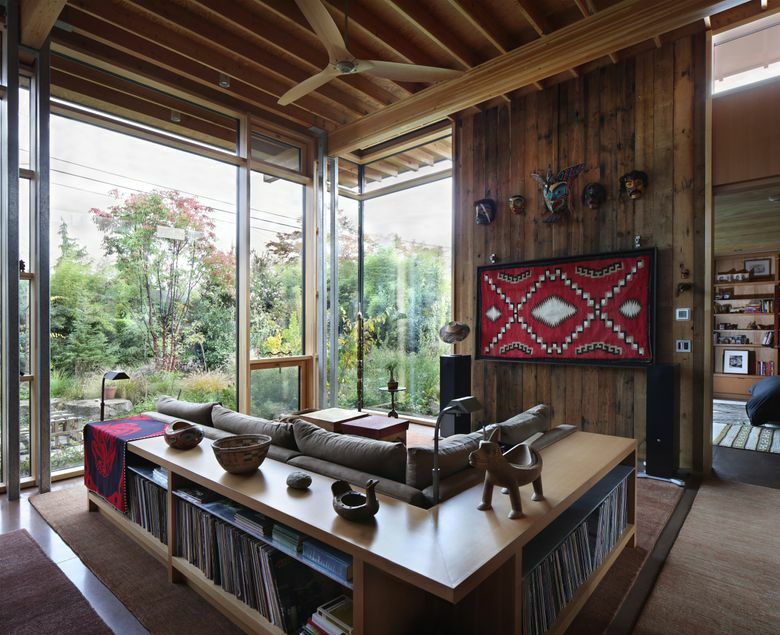 Inspired by noted Northwest architect Paul Kirk, who had designed Olson’s aunt’s Longbranch home, Olson built his own cabin on his family’s property when he was 18 (“I’ve been adding on to it for 58 years now,” he says). At one point, there were three Olson homes in a row. Eventually, Melissa’s mother ended up buying Olson’s parents’ home — and then, Melissa inherited it. We can’t speak to a possible friends-like-family discount, but Melissa’s glorious new urban retreat in Seattle — Olson calls it “City Cabin” — certainly benefited from interpersonal inspiration. It just so happened Melissa envisioned sun-worshipping clerestories and “oodles of big, open windows” for herself, along with a nothing-fancy-please “common area where we can all gather, with two separate bedrooms,” and a private connection to nature — all on an ordinary city lot. So Olson maximized the anything-but-ordinary home’s 2,400 square feet, working to “get as much as you can out of as little space,” he says. Its fabulous, functional design organizes around a brilliantly bright, high-ceilinged great room, with two extending wings (one the master suite, and the other a guest room and storage) and soothing garden views from every single room. In response, Olson says, “I said, ‘Let’s go down on the beach (at Longbranch) and find a rock that’s the right color.’ You always think of the rocks on Puget Sound beaches as gray, but one by one, they’re yellow, white, black — a number of them are very beautiful terra-cotta-red. She found one exactly the color; we used it as our example.” And now, the allover concrete floors are tinted that precise Longbranch-beach-rock shade of red, which took Dovetail General Contractors four or five pours to match. Olson knew there was even more to it. 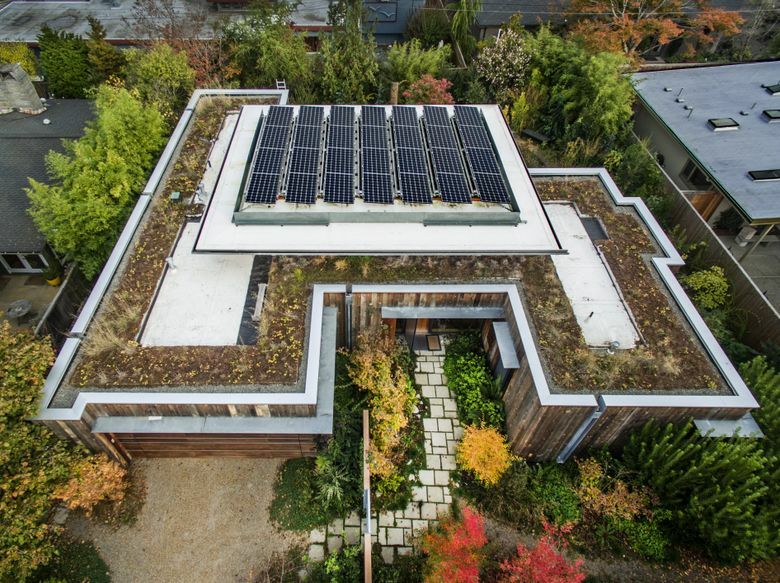 The goal, then: a home that’s as sustainable as possible (net-zero guidelines, but not official certification) — and as Melissa as possible. So in addition to a background palette of raw wood and warm white walls and ceilings, Olson devised shelving to add order to Melissa’s vast art collection (“a huge variety of shapes and forms in regular little cubicles that help hold it together”), and project manager/project architect Renee Boone used a sliding, framed family-treasure rug to camouflage the big TV in the great room. 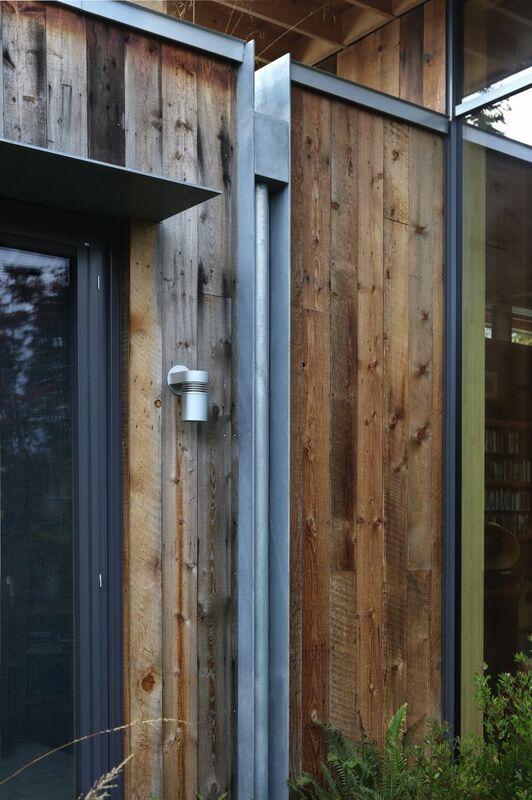 Sustainability-wise, Melissa’s home has an air-to-water heat pump; reclaimed, unfinished exterior fir siding (with natural, unstained plywood inside); extra-efficient insulation; low-energy appliances and LED lighting; giant triple-pane windows from Germany; a green roof; and photovoltaic panels — but those are not totally camouflaged by a metal shield along the edge, which Olson had suggested. “She said, ‘No! I want people to see them!’ ” he says. 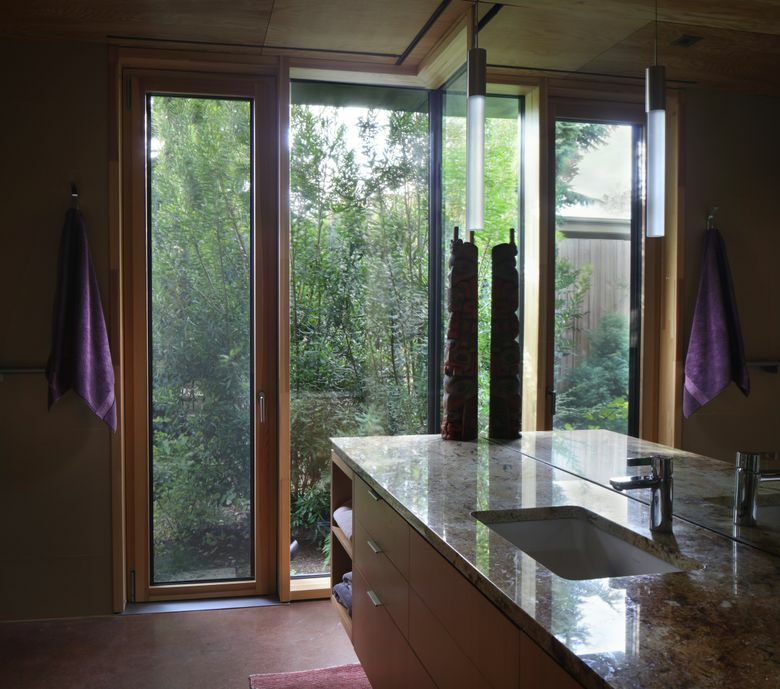 Sandy Deneau Dunham writes about architecture and design for Pacific NW magazine. Reach her at sdunham@seattletimes.com or 206-464-2252. Steve Ringman is a Seattle Times staff photographer.